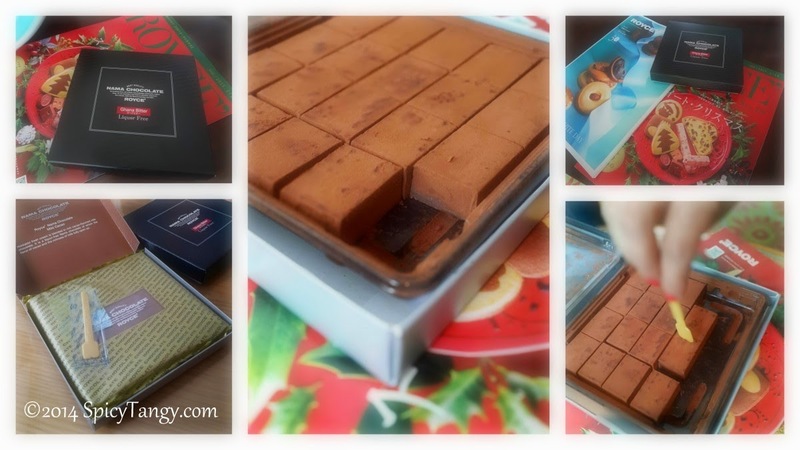 Nama: This carefully crafted bite-sized eggless chocolates are truly a complete dessert in itself. These soft pieces are so perfect that it comes with a spoon-like stick specially designed not to spoil the shape as you pick it up to eat! 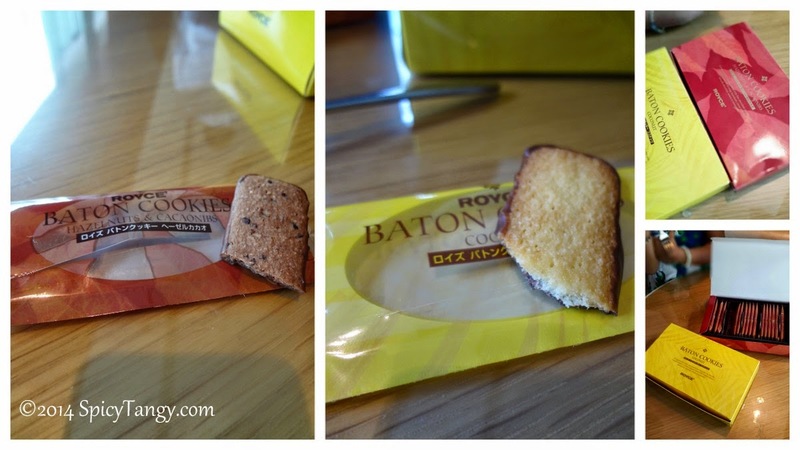 Baton: This is long thin cookie coated with chocolate. 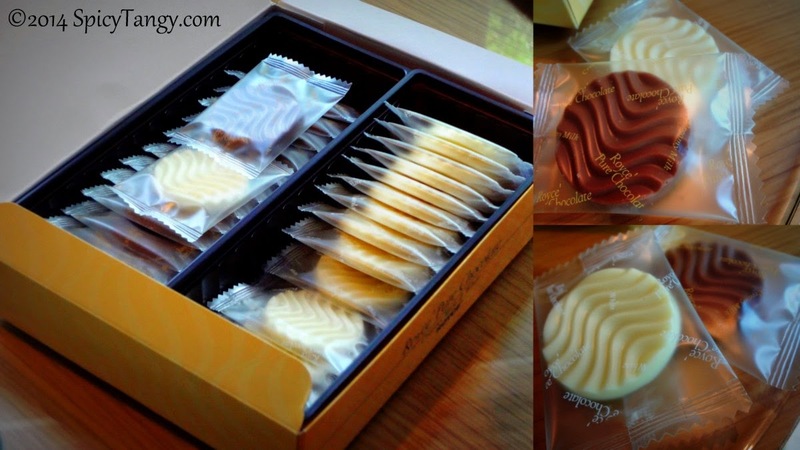 In the picture above, one is hazelnut flavor and another is crunchy coconut. This is a great tea-time accompaniment. Potato Chip Chocolate: This was my favorite of the whole lineup. 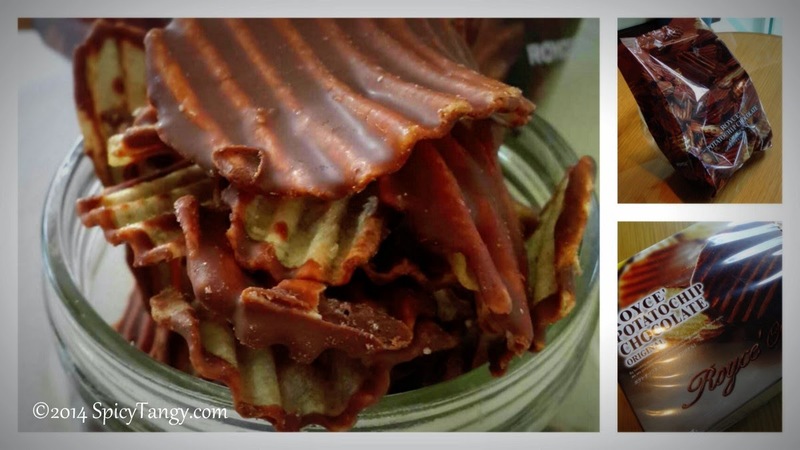 If you like potato chips and chocolate - this is a perfect snack for you. I don't mind sitting in front of TV with a bag full of these. 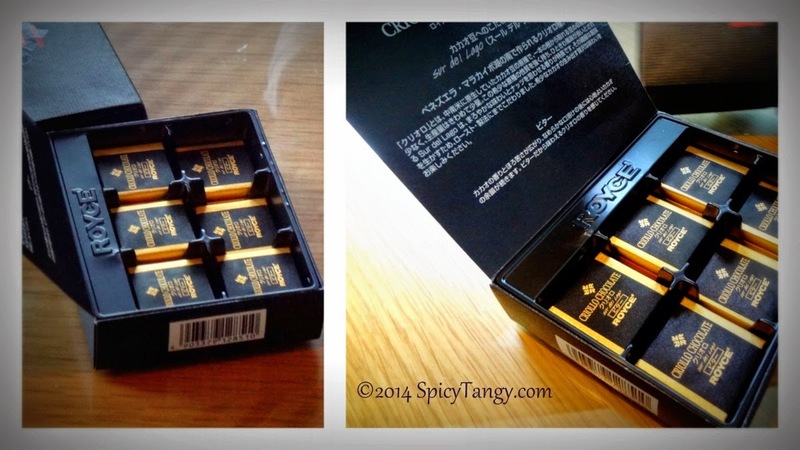 Criollo: This is a dark chocolate made from rare cacao beans sourced from Venezuela. Pure: This is a uniquely shaped chocolate rich and creamy. Literally melts in your mouth.